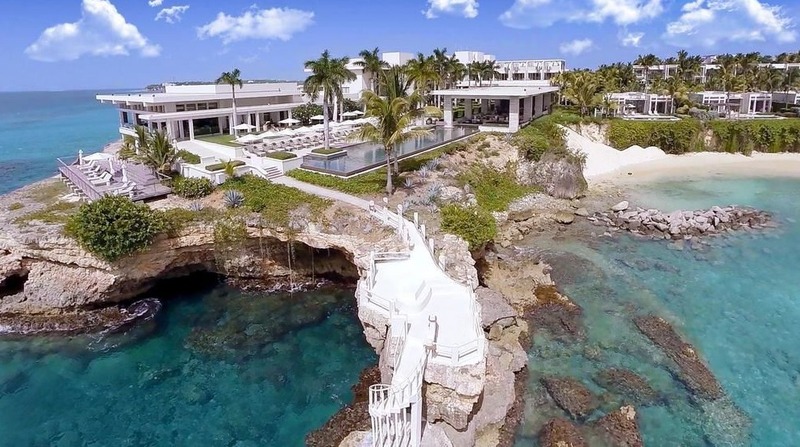 These luxury resorts feature secluded locations and private infinity pools with panoramic views. 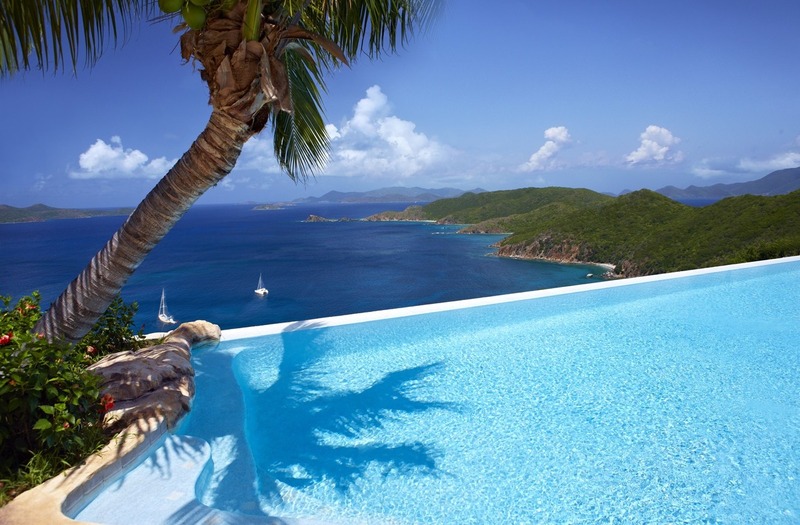 The private infinity pool at Falcon's Nest Villa at Peter Island Resort. Impress your significant other with a trip to one of these luxury Caribbean resorts. From secluded private island resorts to a special champagne zip line, these luxury resorts feature upscale amenities that are perfect for romance. 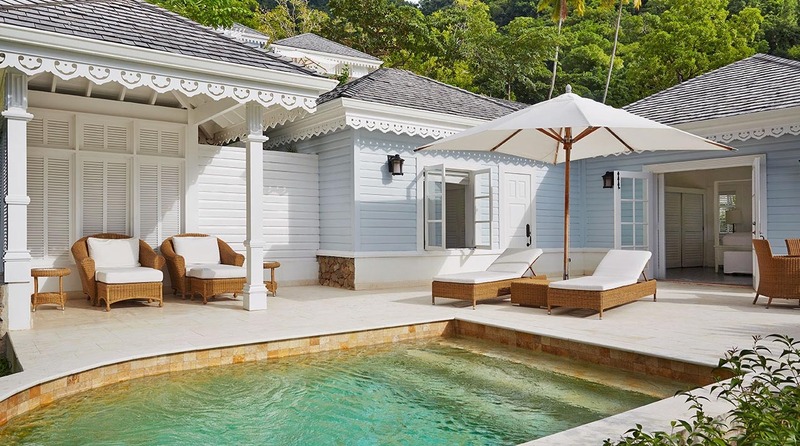 Couples staying at Cap Maison on St. Lucia will enjoy private rooftop plunge pools, a wine cellar, and romantic touches like the champagne zip line, a private waterfront dining experience where the staff sends champagne and canapés down a zip line from the cliffside restaurant above. This luxury resort in Port Antonio, Jamaica is one of the island’s best-kept secrets. 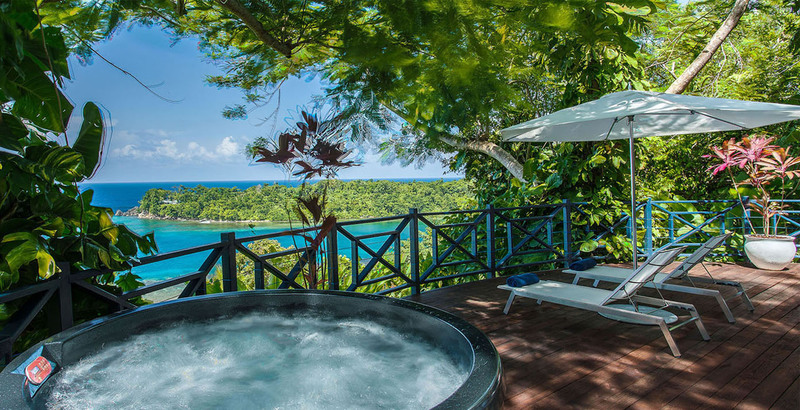 The romantic retreat is just minutes from award-winning Frenchman’s Cove and features a spa-like steam room in each guest room, the luxury Bushbar restaurant and a canopy deck overlooking a waterfall. 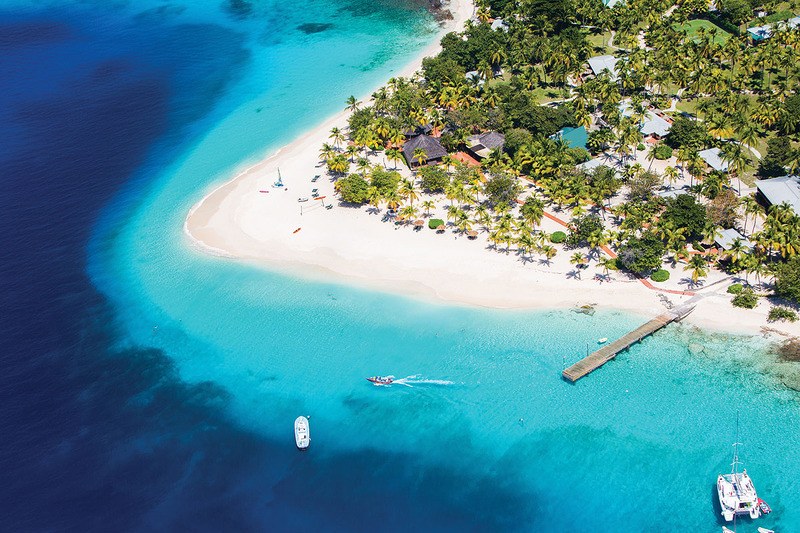 It doesn’t get much more exclusive than Palm Island Resort & Spa, which is located on a private island near the southern tip of St. Vincent and the Grenadines. Couples staying at the resort have access to five beaches, three hiking trails, a lagoon-style pool, and great diving and snorkeling opportunities. 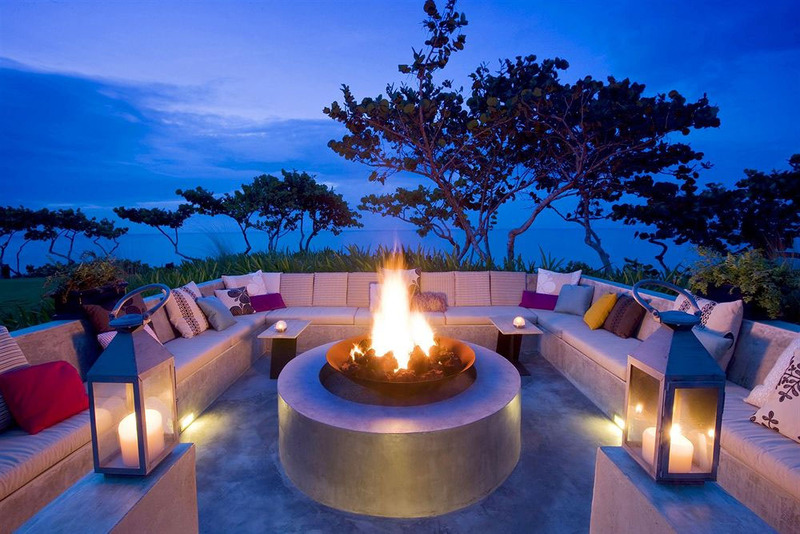 This swanky resort is located on Vieques, a secluded island off the east coast of Puerto Rico. Perks at this posh hotel include an adults-only plunge pool, luxury poolside cabanas and a fire pit for snuggling under the stars. Couples can kayak through the island’s bioluminescent bay, which glows at night. Luxury touches are everywhere at this romantic resort on Nevis, which features three infinity pools, cabana-style beach houses, rum tastings, waters sports, sailing courses and more. Even though it’s a family resort, couples can escape to the adults-only pool and enjoy special treatments at the spa. 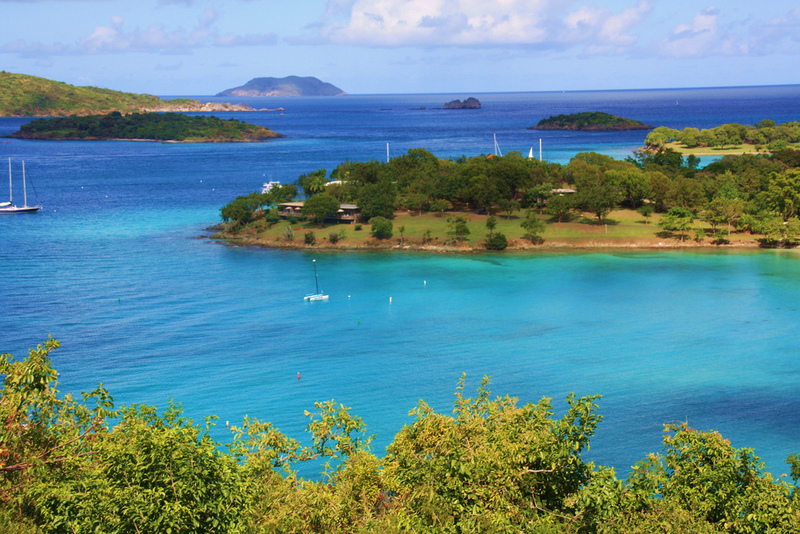 Set on its own private peninsula in the Virgin Islands National Park on St. John, Caneel Bay is a luxury resort featuring seven white sand beaches, complimentary water sports, and upscale restaurants. Guests can enjoy yoga, couples massage, afternoon tea and more. 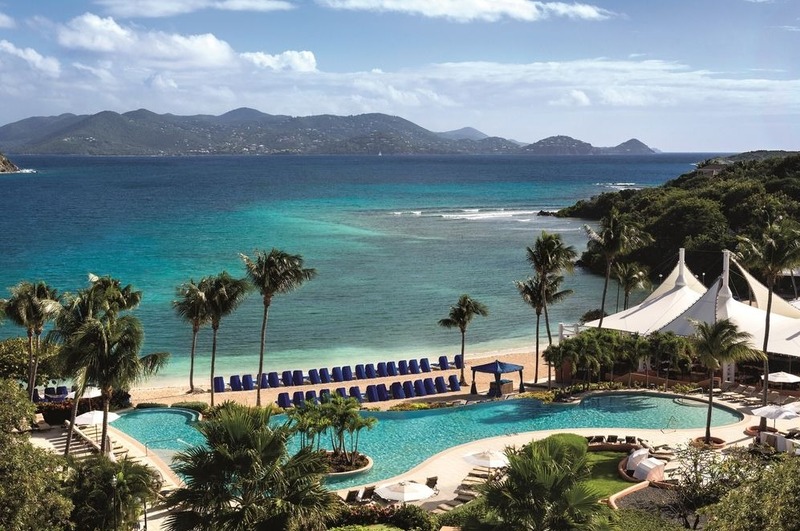 The Ritz-Carlton, St. Thomas overlooks Great Bay on the east coast of St. Thomas. The upscale resort features a private beach and spacious rooms with balconies, and is just five minutes from restaurants and lively nightlife in Red Hook. 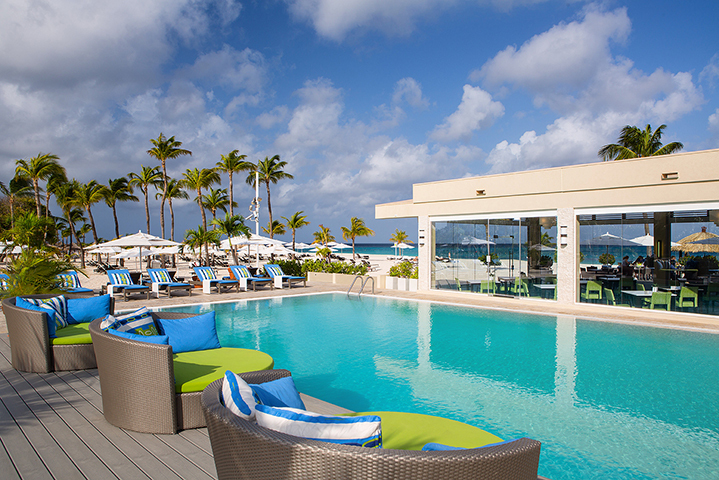 This adults-only luxury resort on St. Maarten features swim-out suites, a stunning clifftop infinity pool, and the modern Azul restaurant. 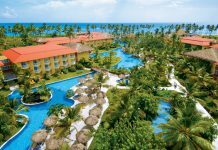 All suites at the all-inclusive resort are ocean view, and include mini-bars with premium liquor, espresso machines and rainfall shower heads. The luxury Sugar Beach overlooks the Pitons on the southwest coast of St. Lucia and features luxury touches like rooms with private plunge pools and a rum bar. Couples can enjoy a massage at the treetop spa, which features a hot tub and outdoor sauna. 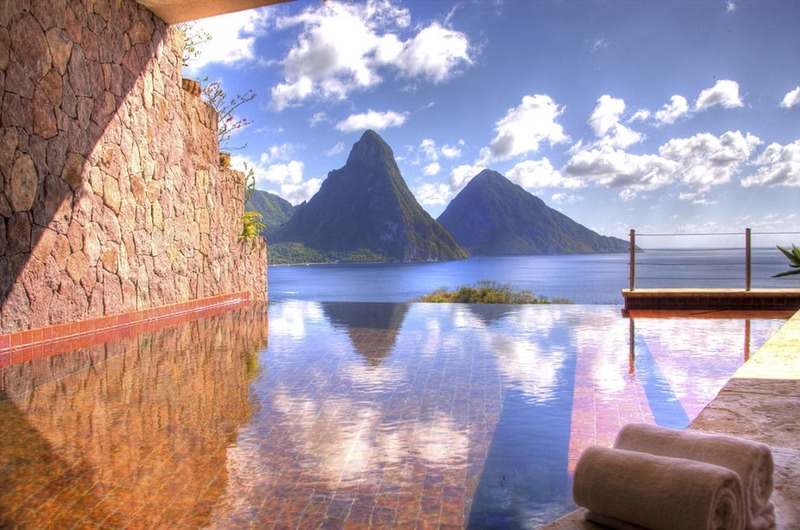 Located on a mountain overlooking the Pitons on St. Lucia, Jade Mountain is a luxury resort within a resort at Anse Chastanet. Rooms here are called “sanctuaries” and come with their own private infinity pools, high ceilings, and are missing the fourth wall entirely for unobstructed views of the island’s stunning southwest coast. 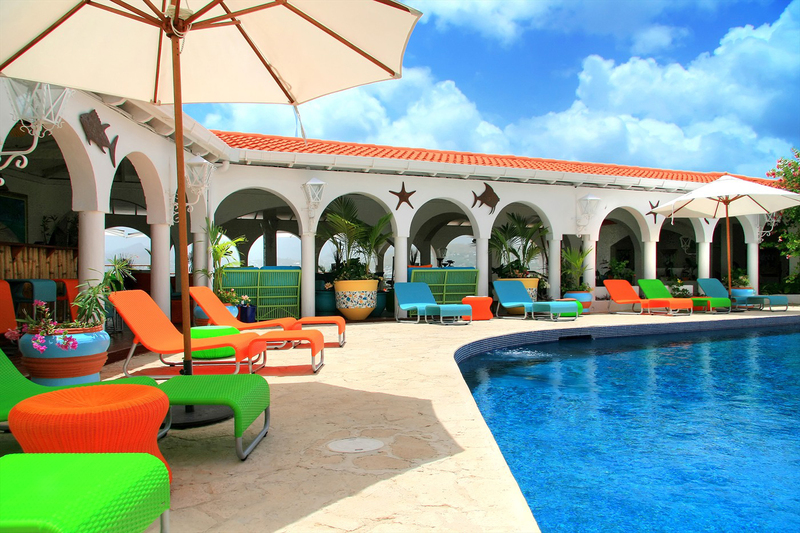 Calabash Cove Resort & Spa is a luxury boutique hotel overlooking Bonaire Bay on the North coast of St. Lucia. 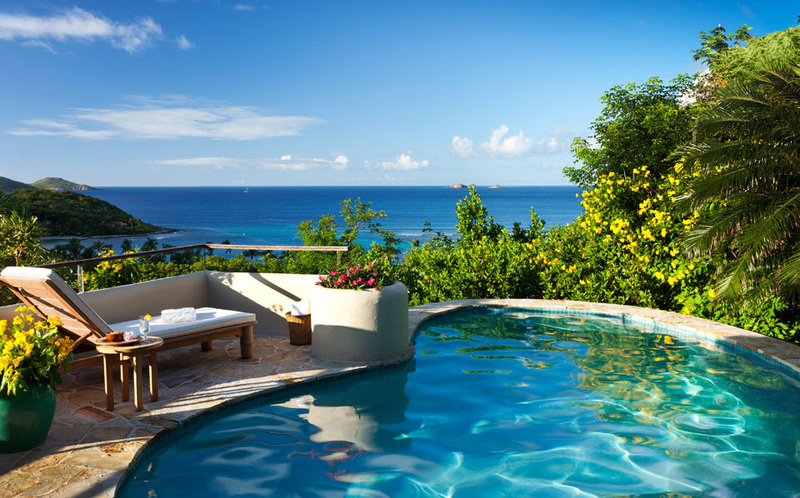 Couples staying here will enjoy Windsong, the hotel’s open-air restaurant, swim-up suites, and the intimate Ti Spa. 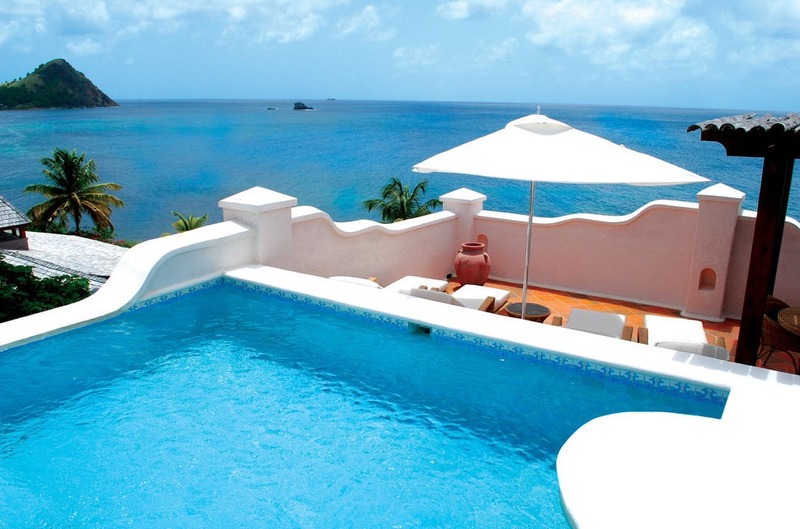 Located on beautiful Grand Anse Beach in St. George’s, Grenada, the all-inclusive Spice Island Beach Resort features romantic suites with private pools, excursions to the island’s rainforests and spice plantations, and a stunning spa. 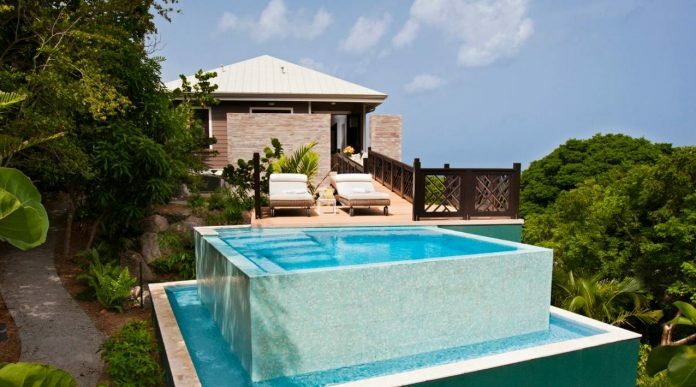 Mount Cinnamon Grenada is a collection of 21 luxury suites and villas located hillside over Grand Anse Beach, an ideal backdrop for a romantic getaway. This romantic resort features a private beach, yoga classes and gourmet dining at The Savvy’s Bar and Restaurant. 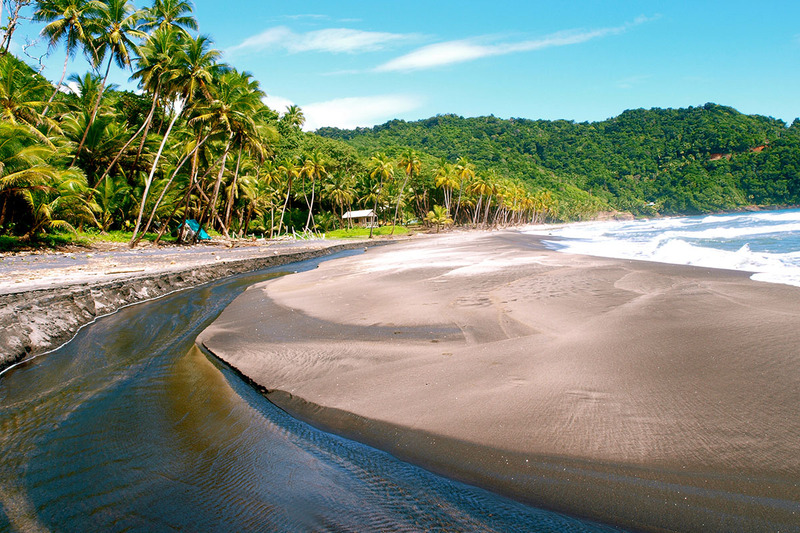 Rosalie Bay is a luxury eco-resort set at the foot of the Morne Trois Pitons Nature Reserve on Dominica. Couples can relax in the resort’s saltwater pool, enjoy massages at riverfront Gló Spa, or hike to nearby waterfalls and romantic grottoes. 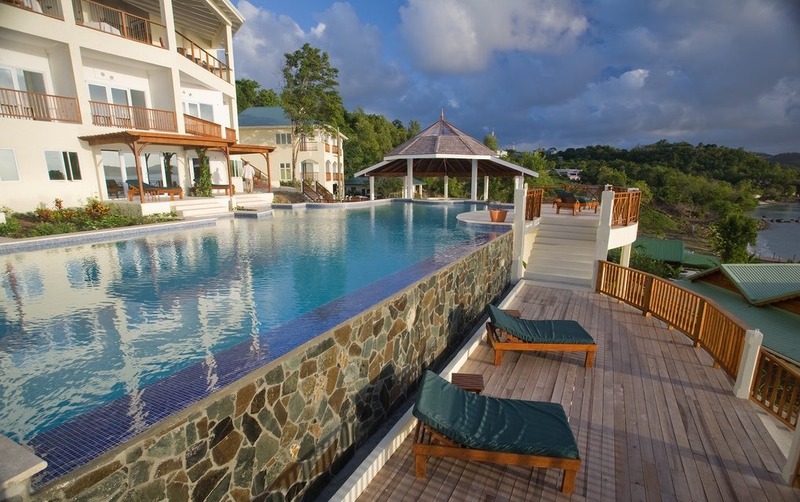 Nestled on a cliff overlooking the Caribbean, this romantic luxury resort on Dominica is the perfect hidden escape for couples. 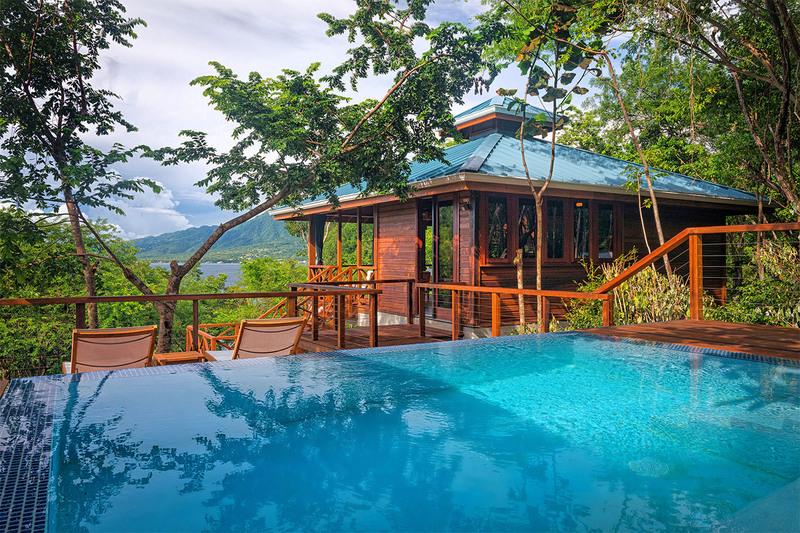 Book one of the new Ylang Ylang treehouse villas, featuring expansive deck space with private pools and lounge areas. 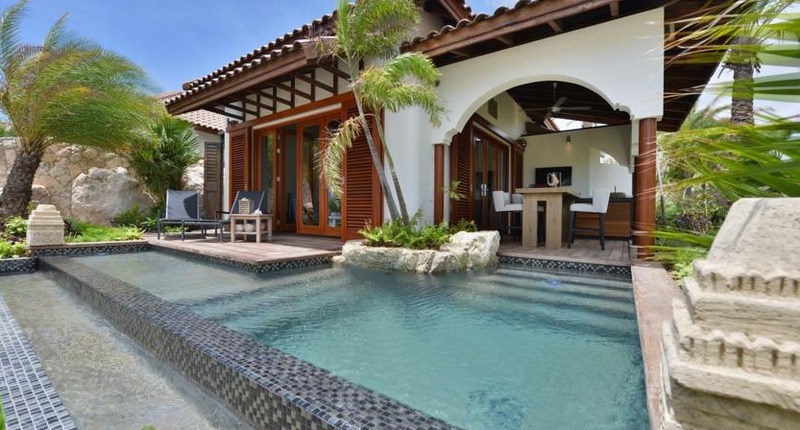 The luxury Baoase on Curacao features romantic suites with infinity pools and private gardens, butler service on the beach, and upscale dining at The Culinary Beach Restaurant, located directly on the beach. 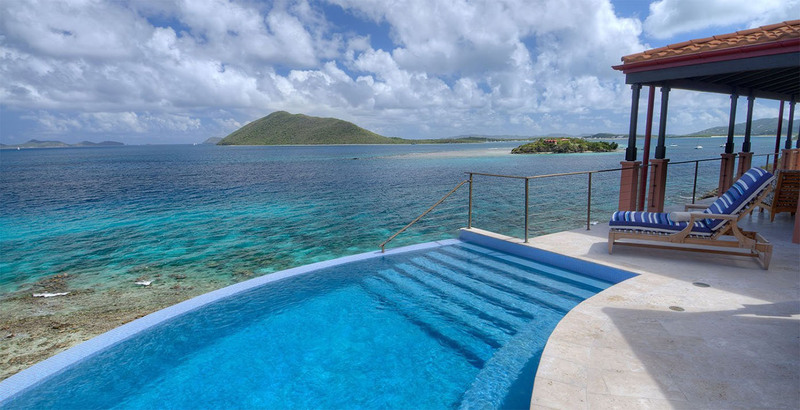 Scrub Island Resort is located on private Scrub Island, just off the east end of Tortola. This romantic resort features 52 guest rooms as well as a collection of two-, three- and four-bedroom villas, the Ixora Spa, great restaurants, three private beaches, and a marina. 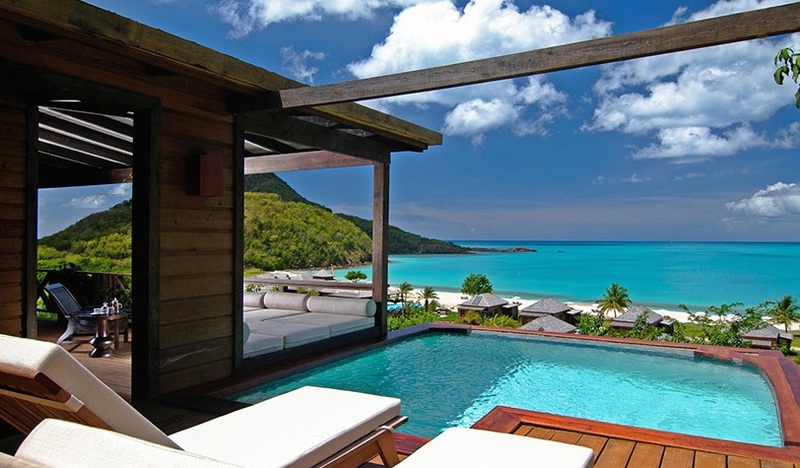 This luxury resort on Peter Island in the BVI features five beaches and villas with private infinity pools. Couples will enjoy the private pool and hot tub at the resort’s spa, private beach dining, and tons of activities including sailing, snorkeling, scuba, hiking, yoga and biking. 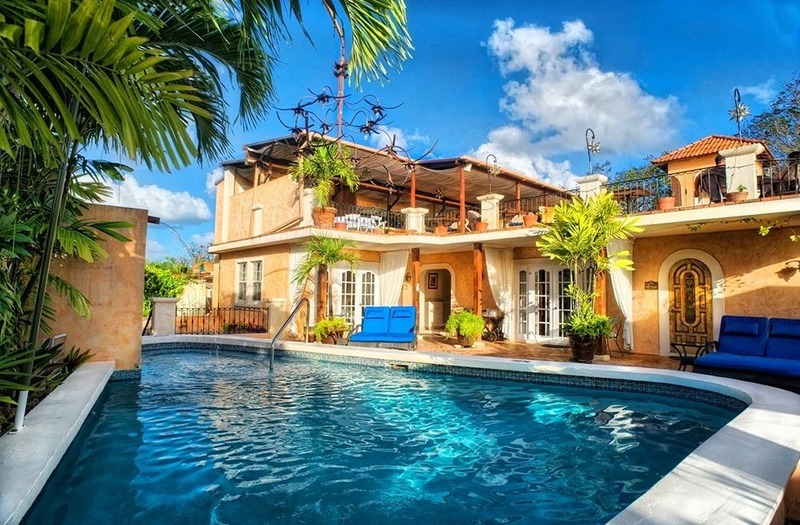 Little Arches is an adults-only boutique hotel with just ten rooms, located on the south coast of Barbados. 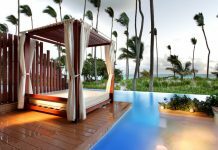 The resort is a favorite for couples, who can enjoy a meal at the award-winning Cafe Luna, spend a day sailing along the Barbados coastline, or relax at the rooftop swimming pool. Although it’s closed for renovations through December 2017, this luxury resort on Virgin Gorda is a favorite for couples. Highlights of the luxury resort include treetop suites, stunning villas with private pools, a cliffside spa, and boat drops to secluded beaches around the island. This all-inclusive resort on Antigua offers the perfect romantic getaway , featuring secluded beaches, dramatic ocean views and relaxing spa treatments. 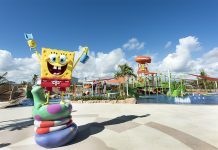 Plus, the resort caters to couples, with children under 12 permitted only at Christmas. 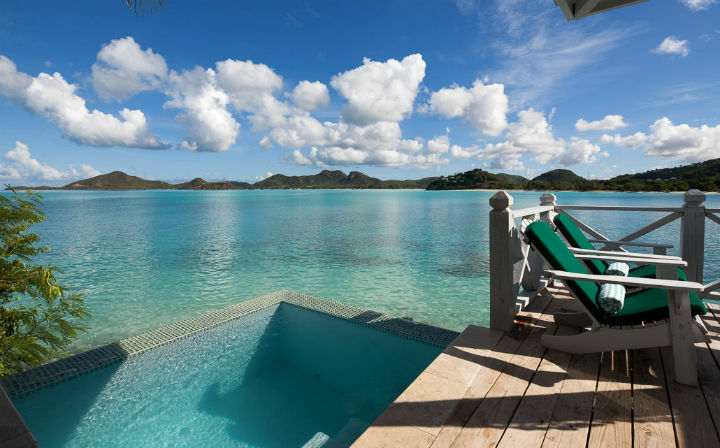 Hillside pool suites, with panoramic sea views, spacious wrap-around decks and private plunge pools make this Antigua resort one of the most romantic luxury resorts in the Caribbean. 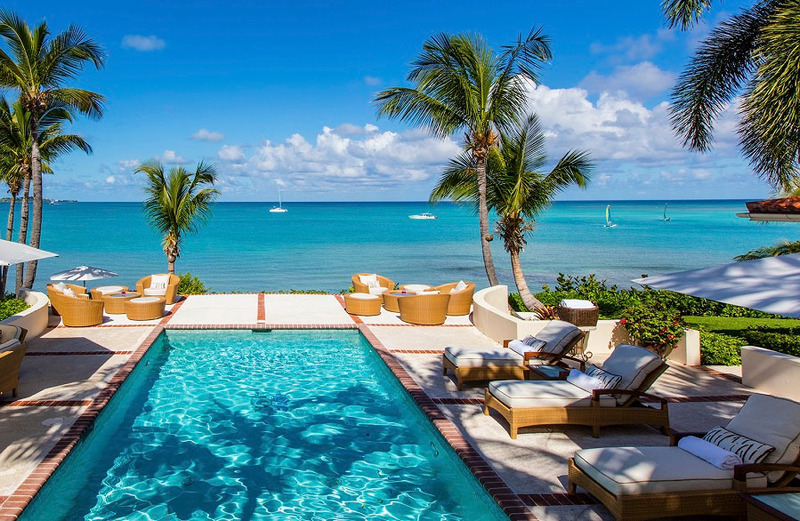 Located on a private island two miles from the shores of Antigua, Jumby Bay is a great resort for romantic getaway. Couples will enjoy upscale dining, an oceanfront infinity pool, tropical rondavel suites, and winding bicycle paths, perfect for exploring. Bucuti & Tara Beach Resort is a luxury adults-only resort located on Eagle Beach, Aruba. The resort has a peaceful vibe (even water sport vendors are banned from the beach), but there is still plenty for couples to enjoy including a beautiful infinity pool, comprehensive spa, and casino and shopping adjacent to the resort. 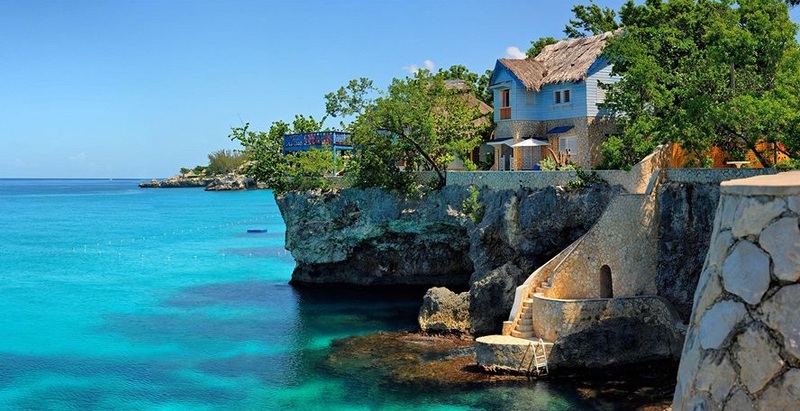 This all-inclusive boutique resort is located on the scenic cliffs of Negril, Jamaica and features a hilltop spa, colorful, thatched-roof cottages with balconies, and romantic dining options like an oceanfront gazebo or private cave dinner. 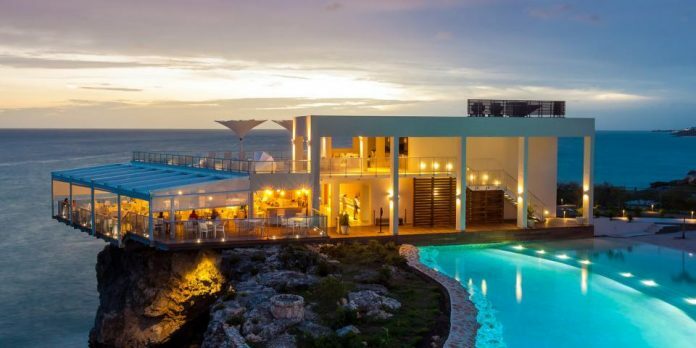 This new luxury resort on Anguilla features amenities that couples will love, including a cliff top restaurant perched high above the beach, two-story seaside spa, suites with soaking tubs and oversized showers, and an adults-only infinity pool overlooking the bluff. 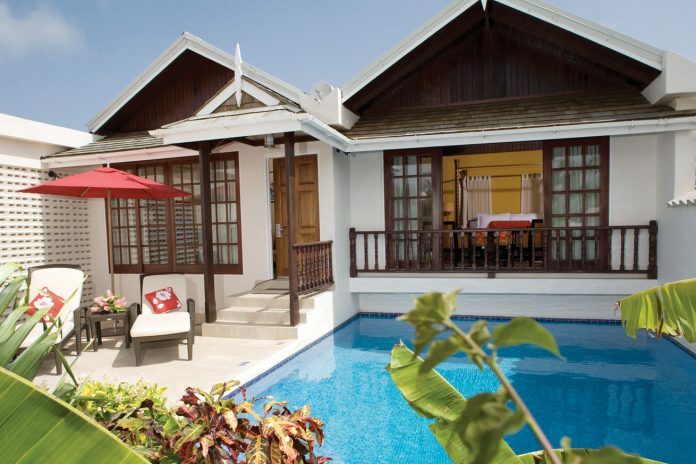 This romantic luxury resort is located on Glitter Bay Beach in Barbados. Couples should book a beachfront junior suite, where they can enjoy candlelight dinners on the balcony while watching the sunset. 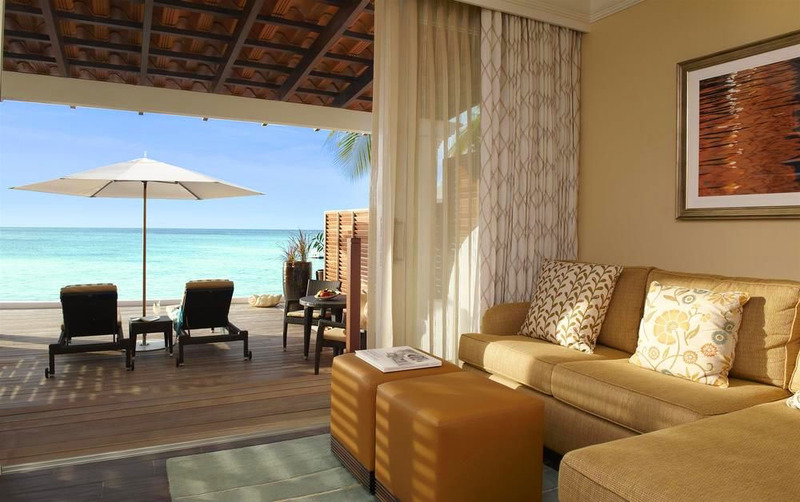 These suites also offer butler service, afternoon tea and evening canapés, and a swimming with turtles excursion.